In the hubbub that is our world, where should we focus our efforts as parents and teachers? 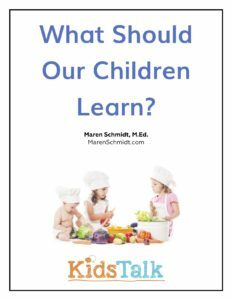 What are the most important things for our children to learn? Here is a series of articles that I hope will stimulate your thinking and generate discussion within your family and school community.